This time of year, the paint experts at Hirshfield’s are busy helping customers select the best exterior paint color for their home. So I decided to ask Hirshfield’s color expert, Mark Masica, what colors he would choose as his top exterior color picks for the season. And the results are in! Mark says the overall trend in exterior colors reflects colors that are found in nature. There’s just something about natural colors that Minnesotans relate to! These colors make us feel peaceful, happy and at home. 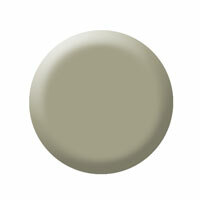 Grays with a warm undertone also remain popular for interior and exterior paint. Grays with warm undertones tend to look better on a home’s exterior throughout the year, as the seasons change. Sage green is also a popular choice for exterior paint color this year. This color reflects the “nature” trend and looks great year round in Minnesota weather. *Paint colors may look slightly different when viewed on a computer screen. If you are looking for more expert advice on choosing the perfect exterior paint color for your home, let Hirshfield’s come to you! Click here to schedule a Hirshfield’s exterior color call!